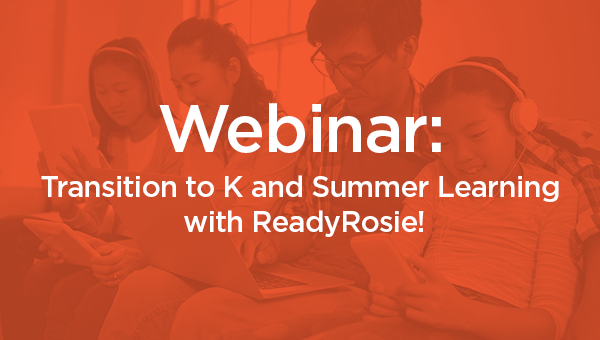 Webinar: Transition to K and Summer Learning with ReadyRosie! Participants learned how a partnership with ReadyRosie includes some creative tools and strategies to boost child outcomes during these important initiatives. For more info, contact info@readyrosie.com.